34 year old Laguna Woods surfer, Frank Quinard, left this world too soon in April of last year. 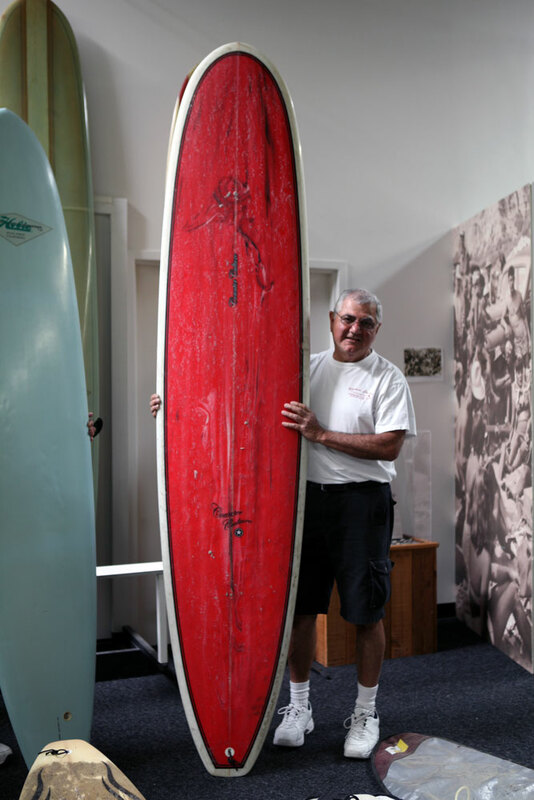 His family felt his surfboards should go to a good home and donated 3 longboards and 1 shortboard to Surfing Heritage last week. We'll have them on display in our showroom for the next week or so along with a poem and photo of Frank with his nephew. 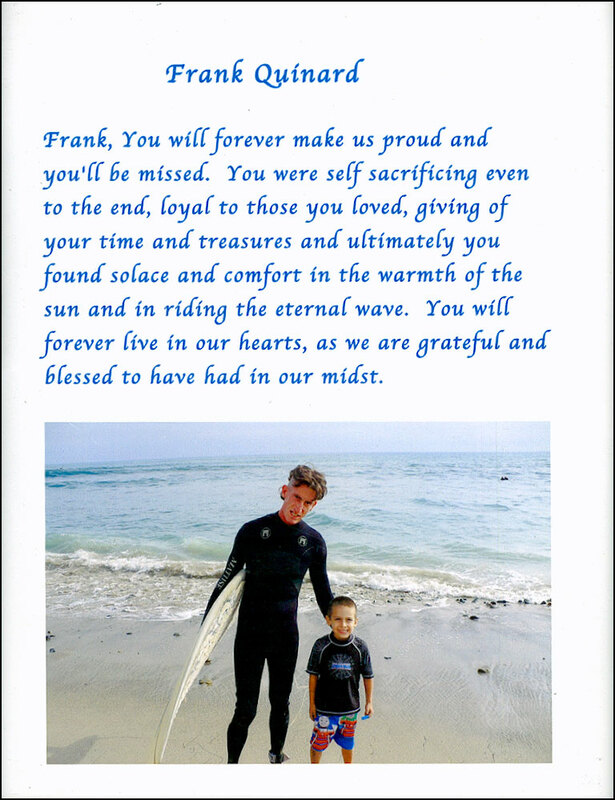 Frank loved to surf San Onofre, Newport Beach and other Orange County spots and will be missed. I am extremely saddened to hear the passing of Frank Quinard. Strange how I ended up here on this blog. Someone posted the board I shaped for Frank on Facebook it's the flamed modern lb with the black and grey flames on the floor left, (nice to know it's in good hands). I Google search as I had lost contact with Frank the past few years. 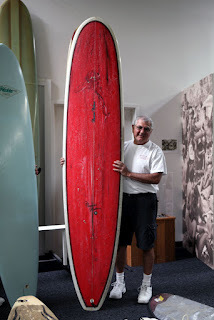 It was an honor to have shaped a custom board for him. Frank was a man of minimal words but had an intensity about him that could not be denied. I will miss you Frank.See you on the other side.